From 11 May to 16 September 1939 Japanese and Manchurian forces clashed with Mongolian and Soviet forces on the border of Mongolia and Manchuria (at that time called Manchukuo by many nations) around the village of Nomonhan near the Khalkhin gol (Khalkhin River). Having spent time in Mongolia my office at the bank used to look out on Jukov Square, next to the Jukov Museum. Jukov is the Mongolian spelling of Zhukov, as in Georgy Zhukov (well, it’s the Mongolian spelling when it’s Latinised). Zhukov, having given the combined Mongolian Soviet Army a victory over the Japanese is a hero in Mongolia. For the record, the Mongolians fought with the Russians during the Second World War with Mongolian troops marching into Berlin as part of the Red Army forces in that campaign. It all started when a Mongolian cavalry unit of about 90 men went searching for grazing in the area between Nomonhan an the river. Manchukuo cavalry attacked the Mongolians and then forced them back over the Khalkhin gol. Two days later the Mongolians returned in greater numbers and the Manchukuans were not able to force them back this time. The next day elements of two Japanese army arrived and forced the Mongolians out. Then a combined force of Mongolian and Soviet forces surrounded the Japanese causing many casualties. It all escalated. The 2nd Japanese Air Brigade then launched an unauthorised air attack on the Soviet air base at Tamsak-Bulak in Mongolia losing some aircraft but destroying more Soviet aircraft. Lt. Gen. Georgy Zhukov then arrived to take control of the Soviet-Mongolian forces and so began a battle that lasted until 31 August with the defeat of the Japanese in the area. I’ll provide more detail about individual engagements at a later time. 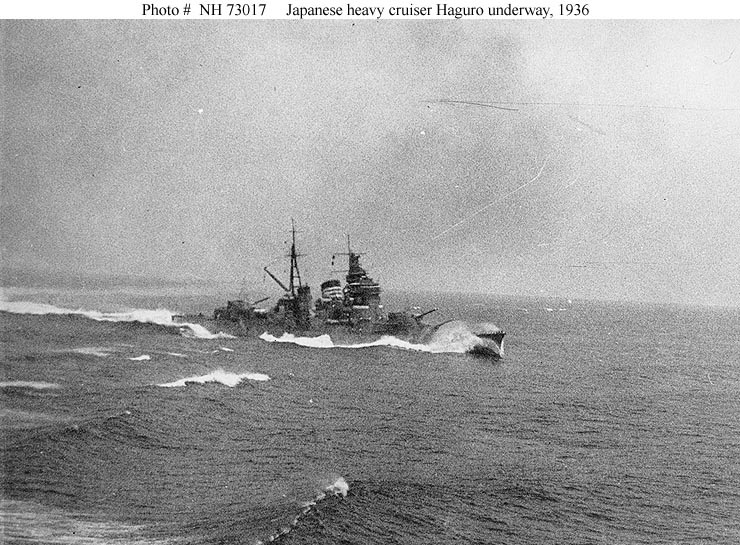 The battle though was significant as it was the first reverse the Japanese Army took in World War 2. At the same time, the result of this battle was that Japan looked southwards for the future which released valuable Soviet (and Mongolian) divisions to the fighting in the West. Some selections from the Canberra Times about the fighting in Manchukuo and Mongolia. A message from Peking declares that the Japanese controlled Chinese Government dispatched to the English and French Embassies a list of demands for a basis of settlement at Tientsin, and said that the Japanese army in North China supported them. The Japanese spokesman declares that no compromise regarding the demands would be accepted and force may be used to obtain the objectives. They include demands that the English and French Concessions support the new Japanese currency; secondly, that the Peking Government be allowed to inspect banks and business houses in the Concession; thirdly, that a rigorous control be exercised over publications and organisations acting contrary to the policy of Peking, and fourthly, that, a Chinese – speaking Government be appointed to control the Concession. The army spokesman announced that gendarmes are holding in custody Mr. E. T. Griffiths, a British engineer from a British steamer, allegedly for insulting the Japanese army. He added that the reported stripping of John Anderson at the Concession barricades yesterday was being investigated. It is officially announced that the Japanese army launched an offensive against the Soviet-Mongolian forces with the object of expelling them from Manchukuan territory. The British United Press reports heavy fighting on the western border of Manchukuo and Outer Mongolia. Tanks, machine guns, cavalry and planes are engaged. Eight Russian planes dropped bombs in the vicinity of Nalunarshan railway station, 30 miles inside the Manchukuan frontier, and injured four Manchukuans, as well as destroying four carriages and setting fire to a number of buildings. The Japanese have protested to Moscow. In an earlier raid on Sularki station, 180 miles north-west of Harbin, seven were injured. In “view of continued trouble on the Manchukuan border, the Government has announced the reinforcing of forces throughout the Japanese Empire. An army communiqué claims that 59 Soviet war planes were brought down on the Manchukuan frontier on Tuesday. Japanese artillery heavily bombarded the Soviet position on the west bank of the Khalha River throughout the day. The Japanese north of Hankow claim lo have trapped 30,000 Chinese as a result of a fierce offensive launched on Tuesday. Supported by aircraft, the Japanese are advancing to the north along he Pekin-Hankow railway. A second force is manoeuvring in order to cut off the Chinese retreat. General Abe appealed to the nation for co-operation. The four Chinese, who were arrested at Tientsin, are to be handed over to the Japanese on August 31. The Foreign Office issued a communiqué that Mr. Toga and M. Molotov, Ambassadors for Japan and Russia, reached an agreement yesterday on the precise demarcation of the frontier of Nomonhan area with mutual recognition of interests. by special arrangement: Reuter’s World Service in addition to other special sources of information is used in the compilation of the overseas intelligence published in this issue and all rights therein in Australia and New Zealand are reserved. I’ll give more detail on the battle and the Orders of Battle of both sides of the conflict in a later post. There have been some more interesting searches here in Thomo’s Hole … although the number of times folks are searching here and not finding something is getting smaller. Seems my readership is still a mix of general readers, friends, acquaintances, the boss and wargamers. So, some interesting ones there and ones that will have me doing some research this weekend. HMS Ashanti is a fairly easy one … that would be a Tribal class British destroyer and rather a well known one so that will probably be first article off the ranks. The Puma IFV will also be fairly quick as well. Now, the remaining searches. They are really interesting ones and are fascinating questions for me, knowing so little as I do about those particular wars. I mean I know they occurred and have a general idea what happened but I have never really read about them in any detail. I can see I shall have to spend more time on this. A trip into Conway’s for the Schleswig Wars will also be necessary as I am sure that there may have been something – and the second Schleswig War was fought in 1864 so Conway’s volume 1 will cover that time period. The Danish-Prussian War was in 1849 and I believe it was in 1824 that Henri-Joseph Paixhans developed explosive shells which were used in Naval vessels (and unlike the previous explosive shells which needed to be fired from howitzers, these could be fired over flat trajectories – such as a gun on the side of a wooden warship fired). Of course, explosive shells and wooden warships are a combination where the only winner is going to be the shell. I believe these shells were used in 1849 (remember, La Gloire and Warrior did not come along until 1859 and 1860 and the true steam powered ironclads a few years after that). So, there was naval combat in the 1849 Danish-Prussian War, so I will need to look that up. OK, looks like there will be some interesting pieces coming up here in the near future as well. I was walking through the city today on the way to a meeting next to Martin Place and there was a commemorative service occurring around the Cenotaph. Ex-servicemen and the Navy band, governor-general (I think) as well as representatives of the Dutch, English and American forces as well. The reason? Today is the anniversary of the Battle of the Java Sea, the battle that occurred on 27 February 1942. The battle is important to Australian military tradition, especially in regard to the loss of HMAS Perth a couple of days later. Perth’s captain, Hector Waller, was a childhood hero of mine as I read about the way the Perth, all ammunition expent, was firing practice rounds at the Japanese ships that she was fighting. Waller also was the commander of HMAS Stuart in the Mediterranean, one of the member’s of the Scrap Iron Flotilla. The last unsuccessful search term from the unsuccessful searches here at Thomo’s Hole was De Grasse. Now this is an interesting one as there are a number of nautical De Grasse’s in particular and I am not sure whether the reader of the blog was looking for the Admiral or the ship. Well, true to form, I’ll give you both. François Joseph Paul, marquis de Grasse Tilly, comte de Grasse (1722 – January 14, 1788) was a French admiral. The potted history of de Grasse really starts in 1776, during the American Revolution. The French Navy was assigned to assist the Americans and de Grasse was a commander of a division. 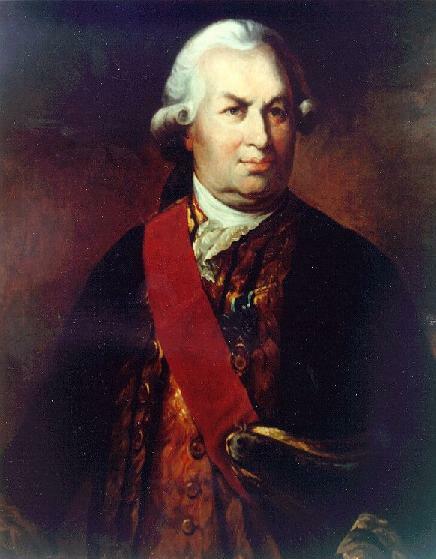 He served under Louis Guillouet, comte d’Orvilliers at the First Battle of Ushant from July 23 to 27, 1778. In 1779, he joined the fleet in the Caribbean under the command of Count d’Estaing. De Grasse distinguished himself in the battles of Dominica and Saint Lucia in 1780 and Tobago in 1781. He was involved in the capture of Grenada and fought against Admiral Rodney in the Battle of Martinique, where the French were commanded by Guichen. De Grasse came to the aid of Washington and Rochambeau when he brought 3000 men from Saint-Domingue, landing these reinforcements in Virginia. He then won perhaps his greatest victory when he defeated the British fleet in the Battle of the Chesapeake in September 1781. 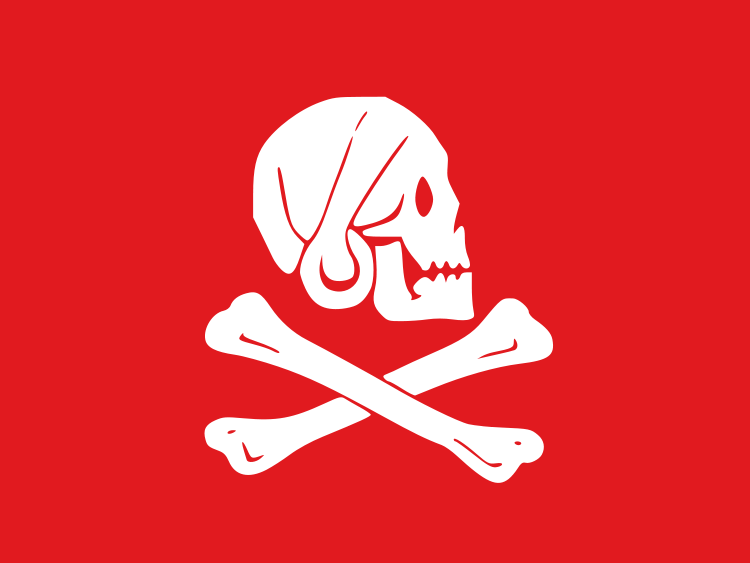 His later fortune was somewhat less successful however, being defeated at the Battle of St. Kitts by Admiral Hood and then being defeated and taken prisoner by Admiral Rodney at the Battle of the Saintes. There have been five ships carrying the name de Grasse, two in the French Navy and three in the US Navy. The first French vessel carrying the name De Grasse was an anti aircraft cruiser of the Coubert class. This cruiser was designed in the late 1930s, of a similar design to the preceding La Galissonnière class cruisers although heavier and with improved anti-aircraft equipment. The other two ships of this class, Chateaurenault and Guichen were cancelled. De Grasse was launched eventually in 1946, commissioned in 1956 and finally scrapped in 1974. 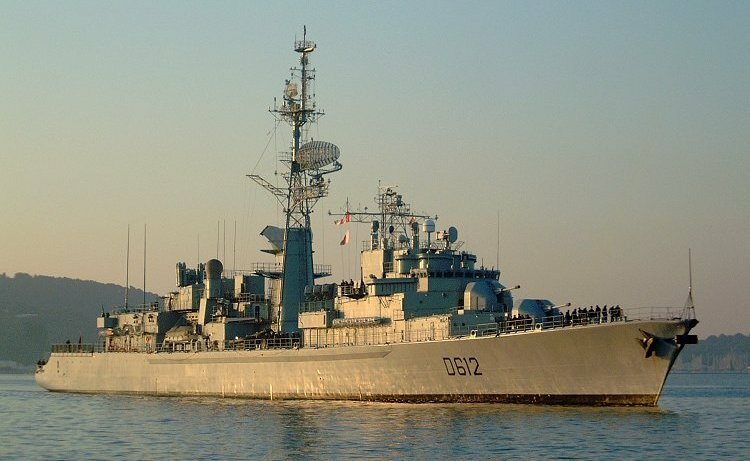 The Second French vessel carrying the name De Grasse is a type F67 frigate, still in service. This vessel is the one illustrated above and was laid down in 1972, launched in 1974, commissioned in 1975 and went into service in 1977. The De Grasse is still in service in the French Navy. 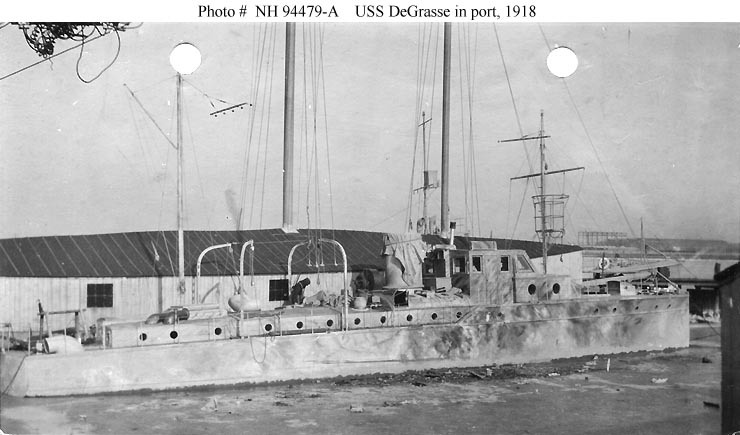 USS De Grasse, an 81′ 2 1/2″ long section patrol boat, was built in 1917-1918 at Neponset, Massachusetts, as the steam-turbine powered pleasure craft of the same name. Though ordered taken over for World War I Naval service in June 1917, she was not placed in commission until her construction was completed about a year later. De Grasse briefly served in mid-Atlantic coastal waters before being returned to her owner, J.L. Redmond of New York City, in early November 1918. The second US Navy vessel to bear this name was a Crater Class Cargo vessel during World War II. With a displacement of 4,023 tons this Liberty ship was active in the Pacific Theatre from November 1943 until decommssioned in April 1946, going on to serve as a general cargo vessel after that date until being scrapped in 1970. The De Grasse was awarded three battle stars. 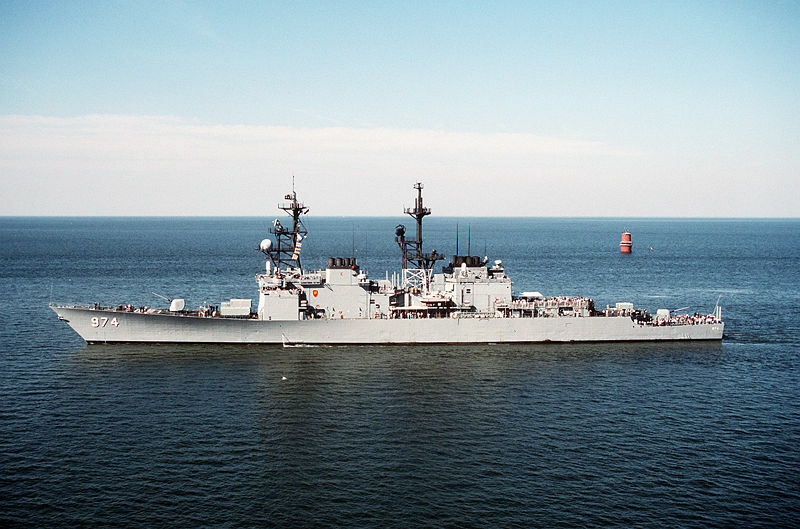 The third US Navy ship to bear this name was the USS Comte de Grasse (DD-974), named for Admiral Francois-Joseph Paul, Comte de Grasse (1722-1788), was a Spruance-class destroyer built by the Ingalls Shipbuilding Division of Litton Industries at Pascagoula, Mississippi. She was laid down 4 April 1975, launched 26 March 1976 and commissioned 5 August 1978. De Grasse was decommissioned and struck in 1998, eventually being sunk as a target in 2006. Jeffro has done it again and got the gallery back in Thomo’s Hole. That means that the Korean War Memorial Museum exhibits I’d photographed are able to be viewed again. I’ll back these up over time to a cloud service somewhere and post alternate links, however, in the interim, https://thomo.coldie.net/gallery/v/museums/korean_war_memorial/ will take you to those albums, the albums covering the Koryo, Three Kingdoms and Chosun periods of Korean history. Also there is some images from the Righteous Army times in the early 20th, late 19th centuries. Every so often I go through the search results of Thomo’s Hole – it is quite enlightening seeing what terms people are searching for in the Hole. It also tweaks my interest and leads to some posts. Of course, if you’d like something specific you only need ask and I’ll try and accommodate. Anyway, it was a hot weekend in Sydney, very hot, so I thought I’d add to the heat by researching unsuccessful searches to Thomo’s Hole. I came across two search terms in the logs, namely, “Henry Ebery” and then immediately after that, “Henry Every”. Well, I may not be an intellectual genius but I do type a lot, and whilst I am not a touch typist (more chopsticks style), I am savvy enough with a keyboard to notice that “B” and “V” are next to each other and that probably the search for Henry Ebery was really someone searching for Henry Every. See how a search on Henry Every returns something apparently unrelated? The other article it returned was Busk’s Navies of the World – 1859 – The French I because there was mention of an Henry in there as well as an every. However, all is not lost. 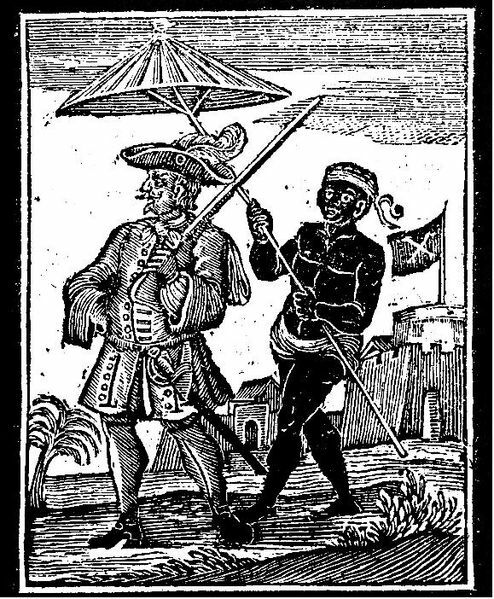 Henry Every was born in Plymouth in 1653 and was a somewhat famous pirate – the picture of the woodcut here is Henry himself. He was also known as John Avary, Long Ben, and Benjamin Bridgeman. Now this is more like it for the readers of Thomo’s Hole.